This portable 10' Dome Tent offers an eye catching way to promote your business while offering shelter at outdoor trade shows, sporting events, festivals and concerts. This portable 10' Dome Tent offers an eye catching way to promote your business while offering shelter at outdoor trade shows, sporting events, festivals and concerts. The 30mm aluminum tube frame is easy to assemble thanks to push button connectors. Made in the USA, it comes in two hard shell shipping cases and the frame has a lifetime warranty against manufacturing defects. The canopy is custom printed in the USA in full color on outdoor canvas that is water and UV resistant. 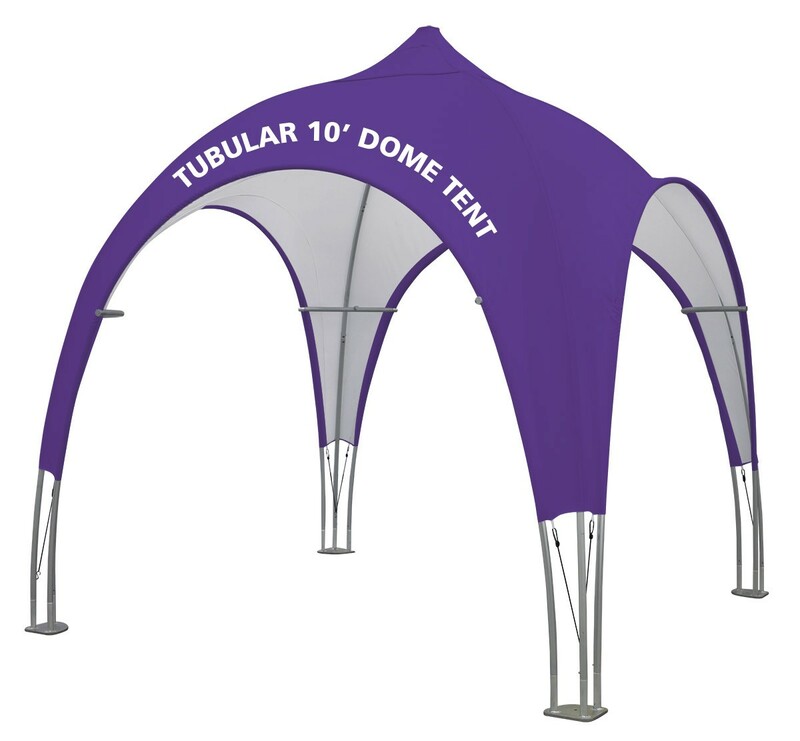 The 10' Dome Tent includes the frame, canopy, and shipping cases. Holes in the base feet can be used to anchor the Dome Tent to the ground with stakes (not included). Assembled Dimensions: 116" x 116" x 122.37"
Shipping Dimensions: 2 cases, each 66" x 18" x 18"